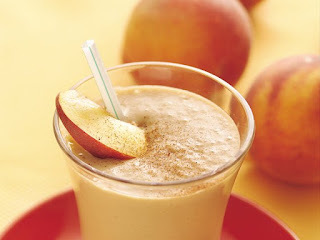 This recipe for "Peachy Chai Smoothies"
& It's SO easy to make! 10 minutes to the table! Bring fruity flavor to chai tea latte mix with peaches and creamy yogurt. In blender or food processor, place all ingredients except nutmeg. Sprinkle individual servings with a dash of nutmeg.